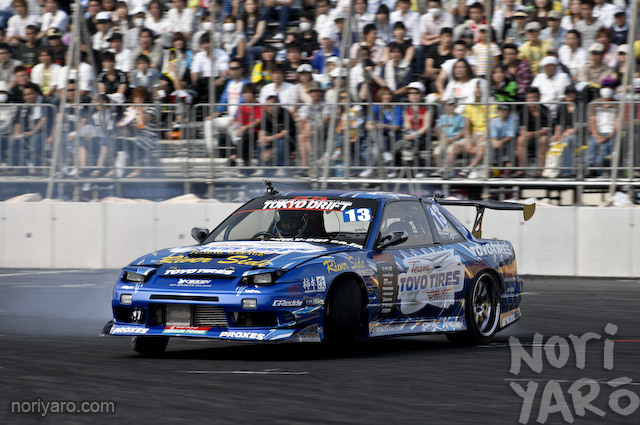 The first time I saw Kuroi’s car live was back in 2004 at Ebisu Circuit D1GP. 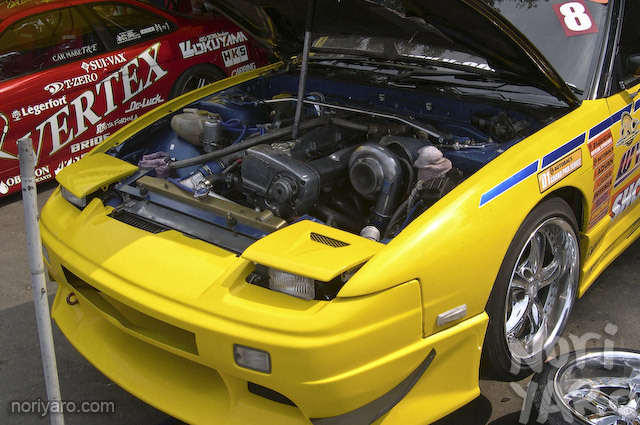 The RB26 conversion was always an odd thing for a drift car, since not many people were able to find the balance in suspension settings needed to run such a heavy and powerful engine. 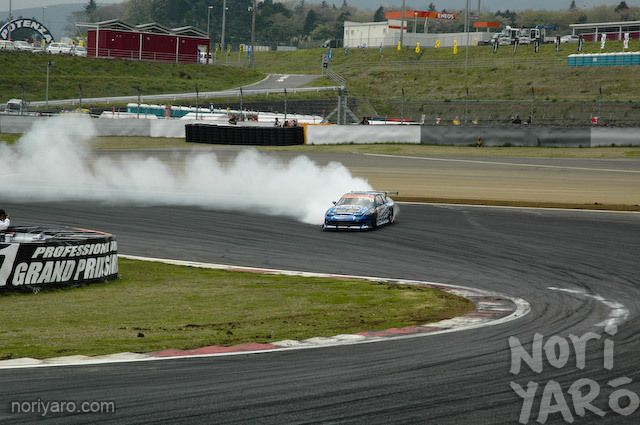 Here he is at Sugo in 2006. Smoke was always one of his strong points. 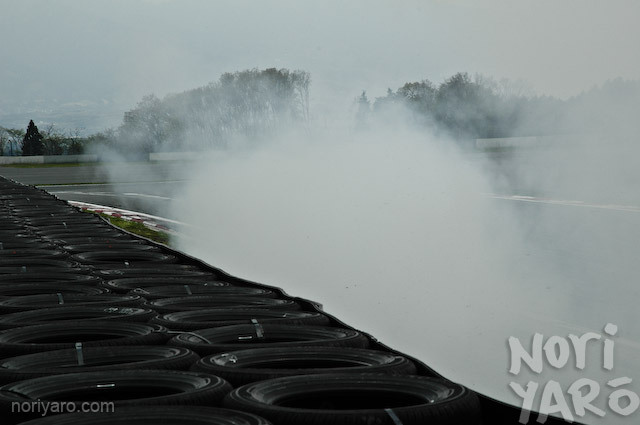 Even though smoke doesn’t count in judging, it didn’t stop him pouring out clouds of the stuff on every run. He looked like a fairly intimidating driver in tsuiso runs as well. I think one of the appeal points of his car was that it looked very street. You could peel off all these stickers and it could have blended in with any number of street drift cars in Osaka. 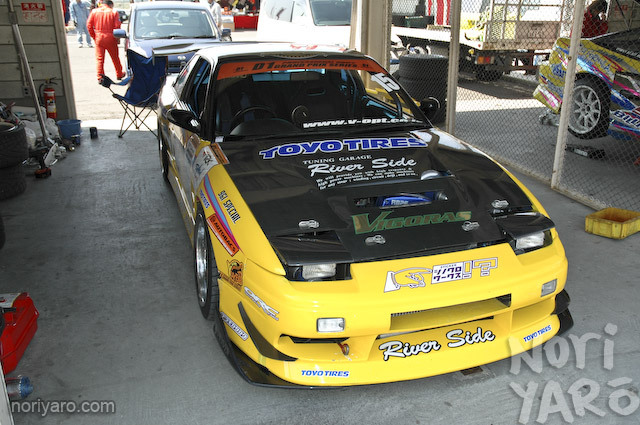 Of course, not many of them had “RB26″ peeking out from the bonnet vents. 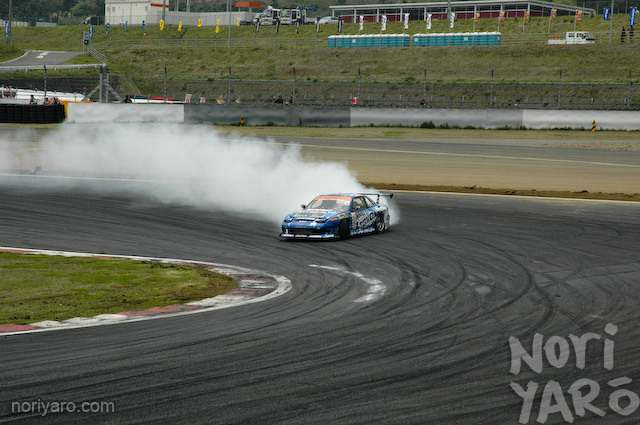 The first person I ever saw do a proper “back entry” or “illusion” drift in a D1 competition was Kuroi. I remember shaking my head in disbelief after shooting this sequence. To put it in perspective, this is what most of the other photos from that spot looked like. 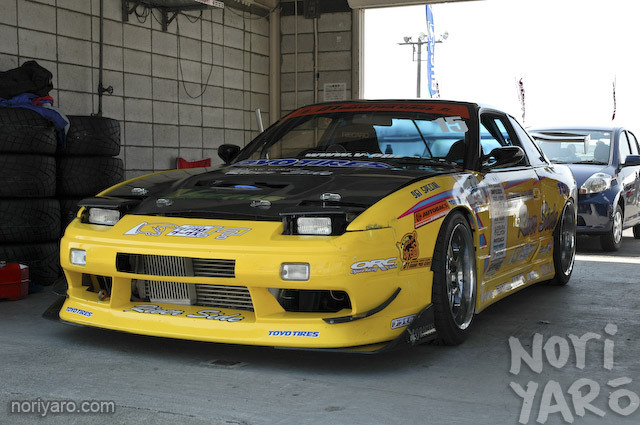 I love how he angled the 180SX headlights to give the car an angry expression. 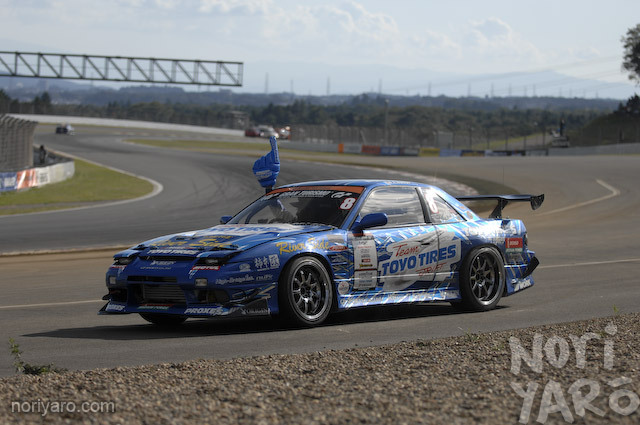 Anyone with the guts to attack the Fuji Speedway 300R at top speed has my respect. The legacy of his yellow paint scheme lived on until the end. 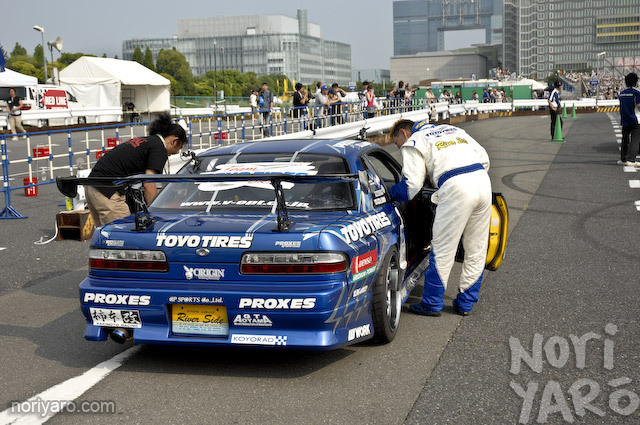 Even after he switched from Nissan to Toyota power, the car somehow distinctively sounded like him. I think it was the fact that the accelerator was always pinned flat. 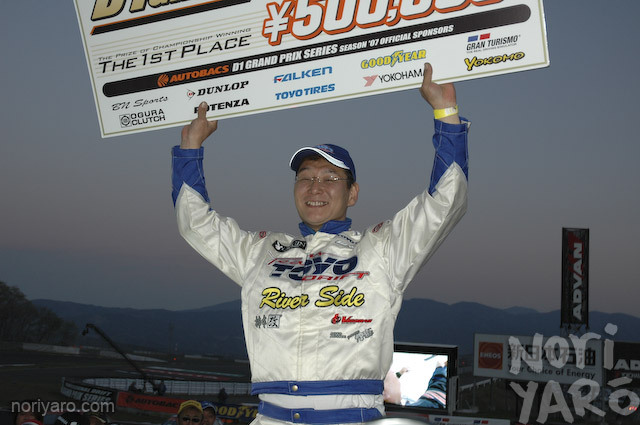 His aggression and surefootedness paid off in the 2007 Fuji D1GP round, where he overtook Masao Suenaga on the inside to win. Watch a D1 video, and he’s rarely seen without a grin. You wouldn’t expect a guy who looks like a typical Japanese salaryman to be such a badass. 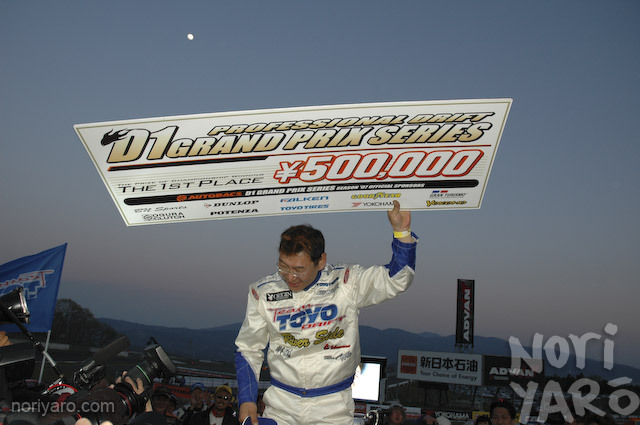 Every drifter dreams of standing on the top of the podium. Unfortunately though, you never know when you will have to step down. 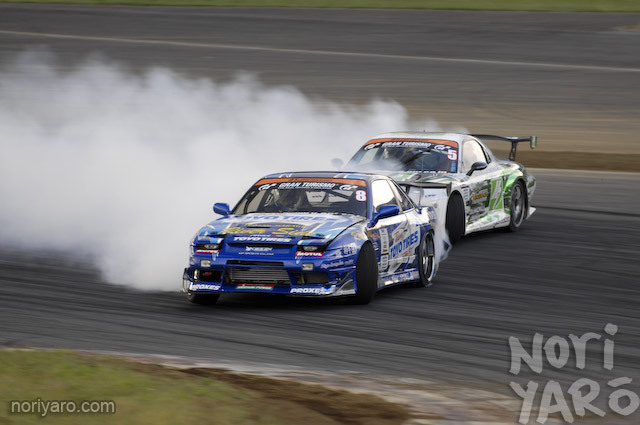 A real drifter will always just be looking for the most aggressive entry. Looking for the next corner. Farewell Atsushi Kuroi. We will miss your clouds of smoke. 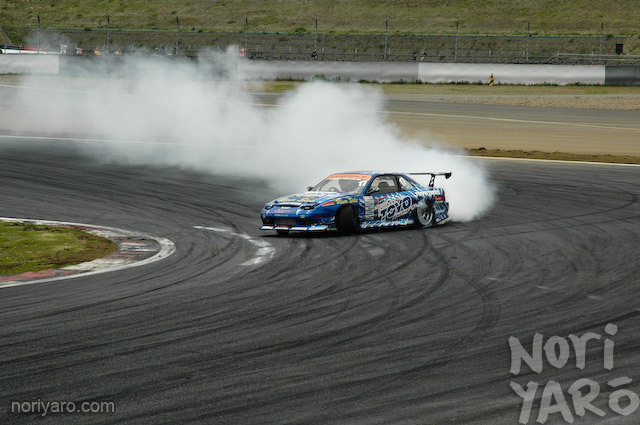 We will with him some day in heaven doing drifting. On tha real, those last pics and words really had me swelling with emotion. One minute you here, tha next you ain’t. But he lived life at WOT, and that’s what matters. RIP Kuroi. Beautifully written Alexi, a deserving tribute to a motorsport legend. Heh, that was one of the best blog entries i have ever read… Read this again with Mae- SKyline Drive song and you will almost cry. Great one Alexi, you’ve got my respect for that. 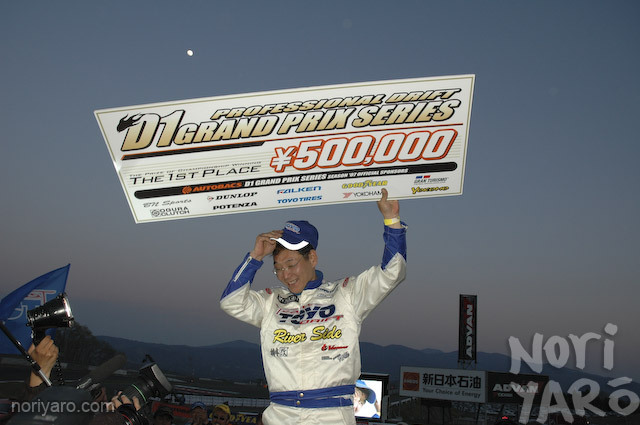 The permanent smile in his face,his outrageously powerful cars (seriously,see any of his car profiles from any D1 season,he always had at least 100hp more than the competition…),his great driving skill…damn,even though I obviously didn’t know him personally,he will be remembered. 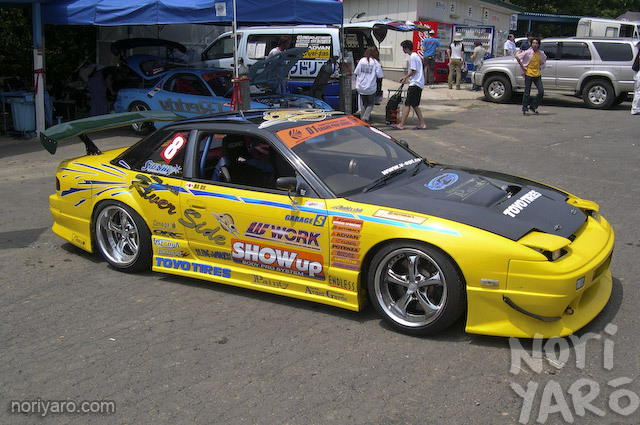 Rest In Peace,Kuroi,and may you drift all the way to heaven. PS: by the way,long time lurker,first time poster…I just had to say something here. Great memorial. Rest in peace Kuroi. sorry guys don’t have any words to say, never was good at this stuff. Very unfortunate, was lucky enough to have seen the guy in the flesh with you alexi at D1sl last yr at Maze. R.I.P. Very well written memorial Alexi. We will miss the sound of the inline 6 bouncing off the rev limiter as a huge cloud of smoke follow the back entries of your’s, Kuroi-San. I’ve watched Kuroi drive for the last ten years, he may be gone, but i will never forget his time here. That pic of him with his fists pumping in the air is the perfect memorial pic, and I’m glad you caught it, Alexi. RIP to the Tansou King. 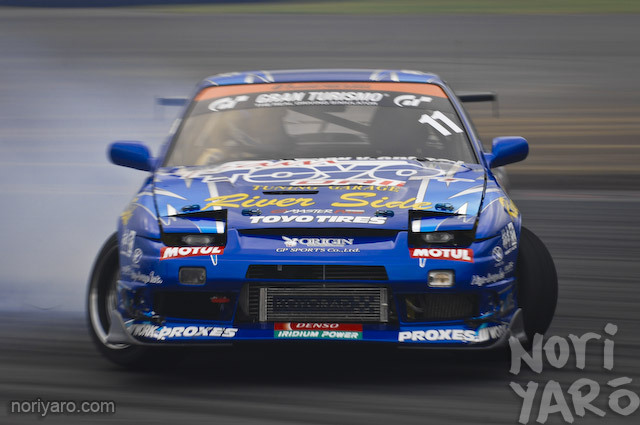 he will be truly missed, always great fun to watch Kuroi drift. May him rest in peace. Great tribute to Kuroi San, R.I.P, legend! Very well written and pictured, A fitting tribute to one hell of a driver. Very nice summary of the high points you were able to see in his career. Such an awesome guy and amazing skill. he will be missed. greatly! Sad, but his legend will live on. Any chance of wallpapers alexi? Awesome driver, and a shame that hes gone. 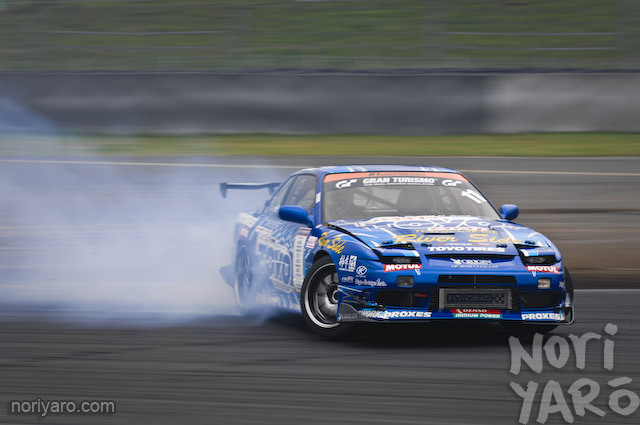 Its a sad day to see such a legend of drifting pass away. Rest in Peace, Atsushi Kuroi. Kuroi-san is easily one of the best. It’s sad that he had to leave this earth so soon. My condolences to his family. Lovely story Alexi, Respect for that. what a great drifter. i’m sorry to hear of his death. r.i.p. Take care Kuroi. Your an inspiration to the British drifitng community. “never lifting” “running forever” … just beautiful. i reconfirm u have loads of talent ALEXI . 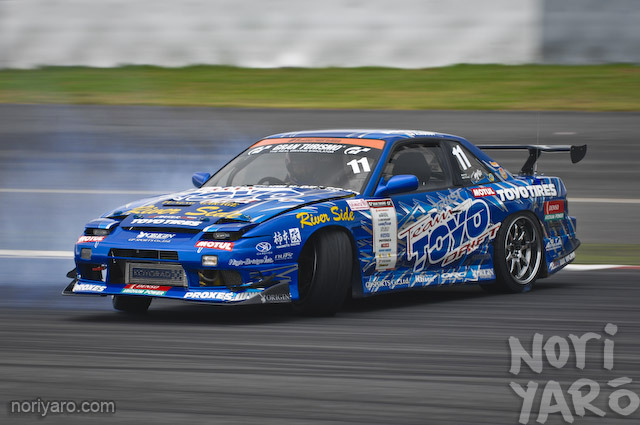 NORIYARO for eva! 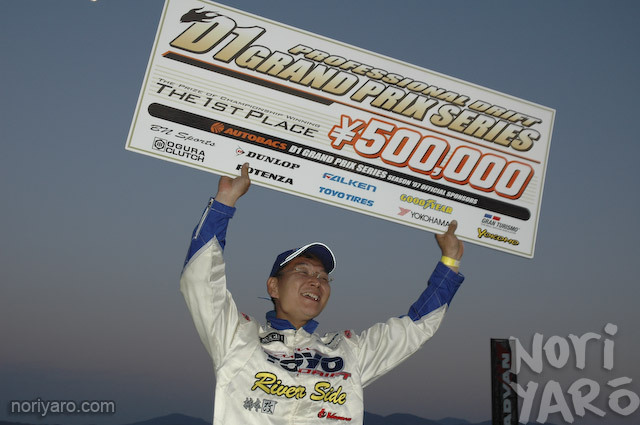 I have admired his progress as a driver for years and have felt nothing but joy watching Kuroi San drive. He has inspired me improving driving style and the entire build of my car. Can we have some Hi res wallpaper images added so I can pay respect via my desktop! Best tribute I’ve read, Alexi. Desktop any of the last series? I am not trying to be disrespectful at all – amazing driver and your images captured it beautifully. This makes me sad. 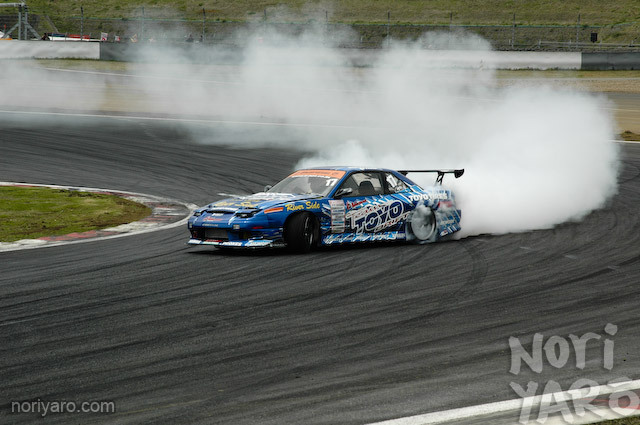 I loved watching Kuroi drift. R.I.P. Kuroi san from Russian drifters…. Well done, like everyone else before has said, he will be missed.